As you all know, I am now on a natural health mission which includes switching my beauty products to natural based ingredients. I am currently searching to find the best products that also provide the results we are accustomed to without the addition of chemicals. After 8 weeks of trailing different natural alternatives – here is the first batch of great discoveries I have to share with you. Below are my current favourite skin products. *Forewarning: I love all of the below products and these will all be glowing reviews! I don’t see any point listing products that weren’t amazing. About: 100% Australian made from all natural and organic ingredients, our formulas are created in small batches using the highest quality phyto-active ingredients designed to hydrate, soothe and rejuvenate your skin. What a great product! Tan in a can without chemicals – yes! There are many reasons I have previously avoided self tanners, 1. I am extremely pale so I am prone to looking orange, 2. The ‘fake tan feel’ on your skin. (You know the sticky, tacky, can’t wait to wash this off feeling)!! 3. The smell. I have always hated the smell of fake tan and I feel like it stays with you for the first few days, even after you have washed the product off. Result – A golden tan, pleasant smell and quick drying. The tan wears off naturally and is quickly turning me to a fake tan fanatic! This is a fabulous natural scrub to prep for tanning and help avoid those nasty dark elbows, knees and ankles. It can be used on body and face and is also suitable for men and women… So ladies, don’t tell your man cos I can guarantee they will steal it. What I love about this face scrub is that it does exactly what it says! You apply the product to dry skin and massage in with wet hands for a few minutes until the product turns milky and easily washes off. My skin was left soft, exfoliated and not at all dry. The Bean Face Scrub is $29 direct from their online store. This is a beautiful, hard working moisturiser that is suitable for day or night. I like a little extra moisturise at night so I am using this product for day time, under make up. I’ts non oily and dissipates into skin quickly. Available for $35. Be Fraiche offers Starter sets so you can easily and affordable try their products to work out what is best for you. These are available in a 3 product pack for $25 or a 4 product pack for $32. About: MuLondon products are made from pure, natural and, where possible, certified organic ingredients. They contain no unnecessary artificial additives. Instead, pure essential oils and herbal extracts are used to divinely scent and gently and naturally preserve. We stay away from artificial preservatives, emulsifiers or fragrances. Our range is designed for sensitive skin and it will benefit all skin types – from dry, mixed and oily to young, ageing and demanding. When it comes to cleansers, I love a great foaming product. I like to have very clean skin. On first application, I used way too much! The product is so light and foamy, it’s easy to assume you need a larger quantity. One pump is plenty! The Lavender Foaming Cleanser smells great, thoroughly cleans skin without drying and is great value for money!! Around $24 AU a bottle. Yet another great product from MuLondon. The texture of this moisturiser is thick like a balm at first but quickly dissipates into your skin with the heat of your fingertips. The product is great for me as a night cream but a little heavy for day wear. On waking my skin is soft, moisturised and not oily at all. Again great value at around $41 AU a pot. *I am regularly gifted products by the manufacturer for personal use. Rest assured that only my favourite, heavily tested products (on myself and quite often my husband) are featured on my blog. I am under no obligation to review any gifted products but I do so when I find something amazing I want to share. Please email me for any further information. Natural products are all better for your body in the long run. I mostly eat natural things, but the beauty products are still a work in progress! One of my friends actually uses MuLondon faithfully and since you’ve also endorsed it, it must be amazing! The Seed Face Oil would probably work wonders on my dry skin! These sound great! I’d love to see a mod shot of the tanner – I love my pale skin and refuse to “real” tan but fake tanners always look so fake. With your glowing recommendation, I gotta see your before and after! The Be Fraiche starter kit sounds like the perfect way to get started with natural products – I really have to check these out! I totally love using organic natural skin care as putting chemicals on to your skin is not the best idea but since I’m a beauty blogger I do try a lot of products that do have chemicals in them but when I can go natural it’s definitely the way to go. I haven’t used Byron Bay products but I’ve definitely heard of them and next time I’m in store I’ll definitely check them out.I just started using the MuLondon shea butter white truffle moisturer and boy is it amazing! I need to check out the rest of their products. I also would love to try all natural products babe!! I’ve been changing my lifestyle step by step and already started with some shampoos and makeups. But would love to try other products on my beauty routine. Its very interesting to know all these info for sure would love to try all of them but what really grab my attention are the Byron Bay Tan and the Instant Self Tanning Foam. Maybe would start trying these first. These products definitely sound like a great option for me. I’m a big fan of products with no chemicals and natural. All the ones you have described sound incredibly amazing, babe. I think I would love to start with the Lavender Foaming Cleanser. It sounds so perfect!!!! Thank you for sharing such a great review. Will be checking into this on the weekend. Natural products are always the best because you know for a fact that there is no hidden nasties lurking in there. 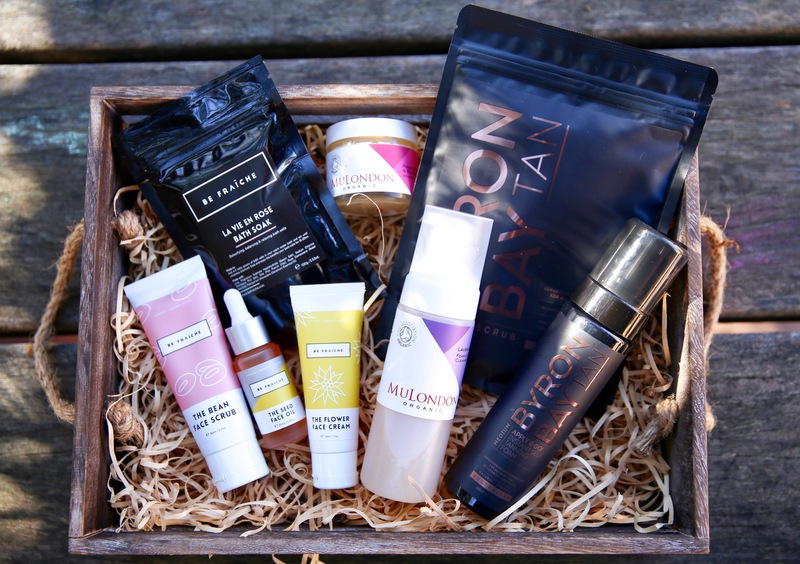 Byron Bay tan sounds so amazing! I agree that the smell is the worst thing about fake tan, my boyfriend actually loves it, which I will never understand- haha! I’ll have to look up the Bean Face Scrub too- I’m always so conscious to not use exfoliating products with microplastics, as they are so damaging to our oceans. I am absolutely a natural and organic skincare junkie!! Natural flower oils and lavender foam cleanser sounds so heavenly and right up my ally even though I have not used Byron Bay yet. I def have to spend some time looking into the brands and products you have mentioned. What a great philosophy to use only natural care products! I have to change my skincare too, because now I don’t even read the ingredients (shame on me). I would like to try seed face oils you’ve mentioned, my skin is so dry so i think oils will work for me. I really need to check out all of these brands! It is so rare to find natural products these days and I would always chose that before any other brand. If you haven’t checked out Herbivore yet i really recommend their skincare items! Their products are definitely on the pricier side but they are worth it! Natural products have been hit or miss for me. It seems some still irritate my skin no matter how much they claim they are natural. The serum and lavender foaming cleanser sound divine. I would actually want to try that. Thanks for the tips. Ah interesting cover for sure! I’m always on the look out for healthy cosmetics with no added chemicals! Thanks for sharing will definitely be checking the serum and lavender cleanser.. sounds like they’ll do wonders for me! I’m literally on a natural health mission too. I absolutely adore all Australian made products, especially cosmetics. What I really need is an Instant Self Tanning Foam! By nature, I’m pale and can’t have a tan (just turn red immediately). Such a nice picks of natural products. Thank you, hun! I’m not into tanning but this body scrub looks so interesting!! I’m also into all natural skincare because it’s better for my health and for the planet. However it’s hard to find truly effective products. Thanks for your recommendations – I’m bookmarking this post to check out some cool new all natural products! Love those summer essentials you have picked girl!!! 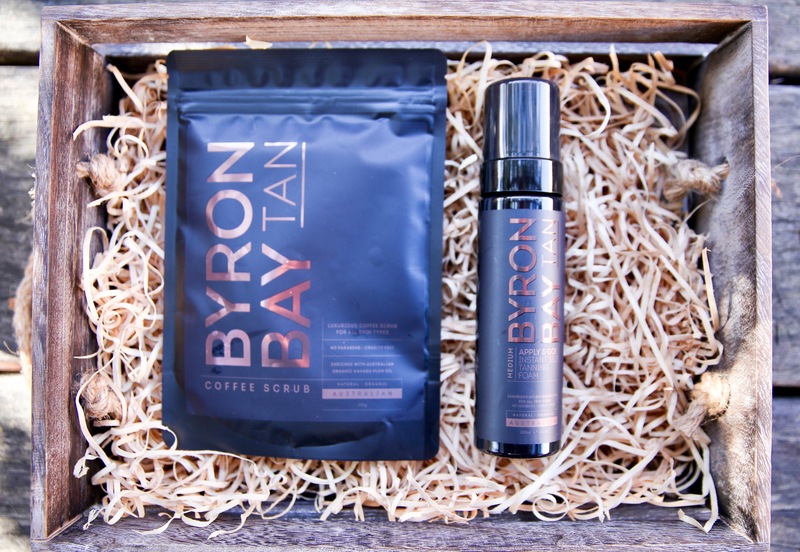 Would definitely want to try the Byron Bay Tanning foam, sounds amazing and coffee scrubs are definitely needed before and after a beach tan. 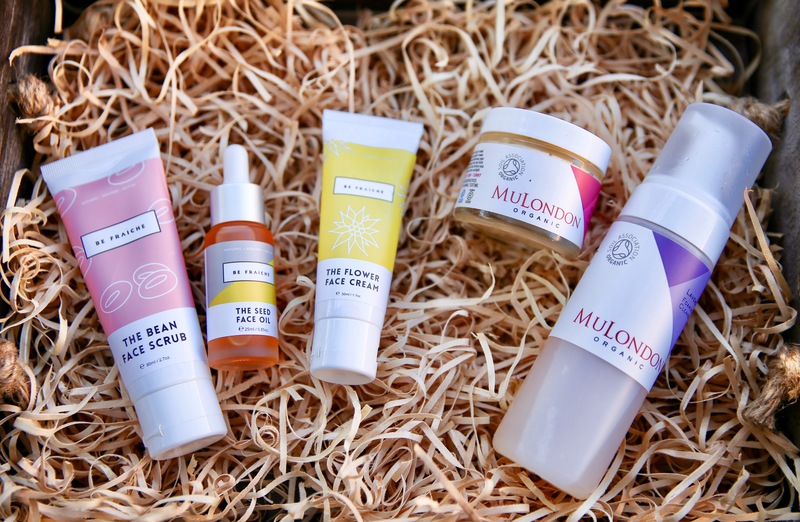 Really want to check out the MuLondon skin products too!! Great post on a nice summer glow skincare post! I’m always trying to stay as much natural and organic as possible. And I love every single product you showed us here. Some of them are pretty nice, so I should definitely give them a try. I love the Coffe Scrub so much and the Instant Self Tanning Foam sounds so lovely!